From Honolulu International Airport to Waikiki , $13.00 rate per person. Infants under 2 year free. this is share ride not private shuttle. 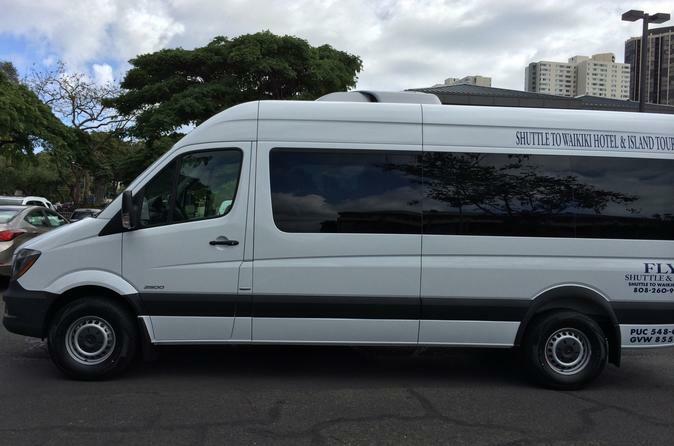 At Fly Shuttle and Tours, we off our special Oahu Grand Circle Island Tour. Our tour trip includes the following scenic trip of a lifetime along some of Oahu's finest beaches and famous stops. .Kahala Estates Home & Mansion. we will stop for Lunch at Fumi Shrimp truck at North Shore. All tours include Refreshment .